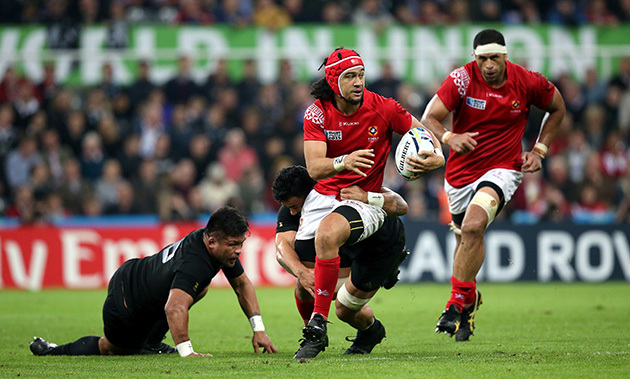 There has been much said about the disparity between the funding Tier One and Tier Two nations receive from World Rugby – but it is not as glaring as has been reported. Every team playing in the World Cup receives a £150,000 participation payment while those who make the quarter-finals get a further £75,000 and those who play in the semi-finals receive a further £100,000. The £7.5m figure that has been bandied around is given to each of the countries playing in the Rugby Championship and Six Nations over a four-year cycle – it is unrelated to the World Cup. It should also be pointed out that the Tier Two nations receive around £6m over the same period when you take into account the coaches, facilities and tournaments World Rugby cover the costs for as well as direct payments. And the governing body should be praised for the work they have done in creating more regular competitions and bringing in coaching expertise for those lower-tier countries. Look at Fiji’s scrum following the help of Alan Muir and Uruguay’s fitness after the work of Craig White. So there is a disparity but it’s nowhere near as big as many people have been saying. Having said that, surely rugby would be better served if the smaller nations received the bigger chunk of World Rugby funding? England is the richest union in the world and the other top teams don’t do too badly in the money-making stakes either, so why not spread more of the wealth to those countries who have a greater need for funding? Yes, the big teams help generate more of World Rugby’s income but it’s the performances of the smaller nations that have so engaged the public during RWC 2015. Imagine what they could do with even more help – maybe we’d see a couple of new teams in the 2019 quarter-finals. The Pacific Island nations have brought so much to the World Cup over the years – Samoa beating Wales in 1991 and 1999, Fiji knocking Wales out of the 2007 tournament, Tonga stunning France in 2011 just a few examples. This time around, however, they have struggled – and there is a risk that at least one of the three teams won’t be present at RWC 2019. In fairness to Fiji, had they been in any other pool they would have had a decent chance of reaching the quarter-finals for their traditional attacking innovation was matched by a solidity at the set-piece that has long been absent. Samoa fell well short of their previous achievements, their performance against Scotland the only bright spot, while Tonga struggled after losing their opening game to Georgia. All three finished fourth in their pools, meaning that none of them have qualified automatically for the 2019 tournament. For years ago, both Tonga and Samoa secured their RWC 2015 spot by coming third in their pools, with Fiji then qualifying as Oceania One. The qualifying structure for 2019 has not been confirmed and it’s unlikely World Rugby would limit Oceania to just one place this time given the talent on the islands, but whether all three will make it is the big question. With Japan already qualified, will there be room for another Asia team? And as Georgia have qualified for the first time, will Europe still have a further two spots? World Rugby have confirmed there will be a four-team repechage competition to decide the final team and they may also decide that giving the islanders more chances to qualify is necessary. One could go through as Oceania One, the other could play off against the top side in Asia (with all due respect to the likes of Hong Kong, they would struggle to compete in a World Cup) and the third could go into the repechage. It’s important that teams from all corners of the globe are given the chance to qualify for the World Cup but to ensure there are no horrendously one-sided contests you also need the best teams at the tournament. Plenty for World Rugby to ponder. The short breaks between games for some nations has been another hot topic. Would Japan have reached the quarter-finals if they hadn’t had to play Scotland just five days after facing South Africa? Solving the problem is not straightforward. With five-team pools, there is always going to be one team not playing in each ‘round’. To ensure every team got a seven-day turnaround between each game, you would need to extend the tournament by several weeks, which isn’t feasible. If you make all the Tier One teams, those who have the greater depth to cope, have shorter turnarounds, the high-profile matches are likely to fall in midweek and TV companies want to maximise prime time weekend audiences; given the amount of money they pump into the tournament, their wants and needs can’t be ignored. Make it five pools of four teams so everyone gets the same treatment and determining the quarter-finalists becomes complicated. Whichever way you look it’s not easy and it should be noted that more Tier One nations had short turnarounds than ever before this time, England and Ireland the only ones whose involvement was weekend after weekend. It’s certainly an area that needs to be looked at – again – but it’s unlikely a perfect scenario will ever be discovered. We all know what happens when a World Cup pool draw is made three years before the tournament: you get a Pool of Death (or as Warren Gatland called it a Pool of Hell). 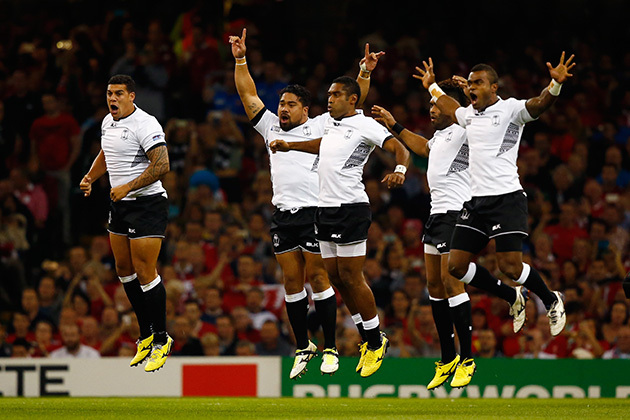 Yes, Wales were fleetingly ranked ninth back in 2012, meaning they slipped to the third band of the draw, but come the tournament itself, Australia, England and Wales were all ranked in the top six while Fiji were ninth. The pool flaw resulted in the host nation being eliminated before the knockout stages. 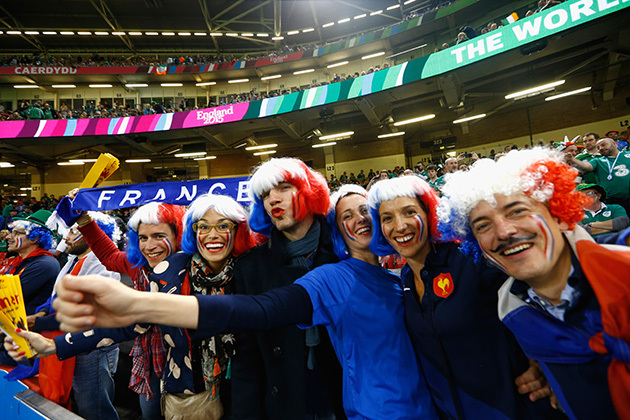 Despite all this, World Rugby look likely to hold the draw for RWC 2019 three years out again. The reason? To sell tickets, given that they will be in competition with the Olympics being held in Tokyo the following year. I understand the need to maximise ticket sales, particularly with it being the first tournament staged outside one of the ‘big eight’ countries, but having such a lop-sided pool draw again would weaken the credibility of the competition and World Rugby. It’s absolutely correct that the citing process is independent, but the inconsistencies in what constitutes an offence is again damaging rugby’s image. Having so many different citing officers means you will always get different opinions – like a lot of things in rugby, it’s all about interpretation. It’s not feasible for one person to look at every game and spot offences, but how about having one overall citing chief? He/she receives info from each of the officers at matches on possible offences and then decides whether to cite a player or not. Making it one person’s view should at least make the process more consistent.